The 2019 Colorado legislative session - when state bills are drafted, introduced, debated, and (sometimes) passed into law - began on January 4th. Read on to hear about how YOU can make your voice heard at our state capitol this year. The Colorado Legislature – also referred to as the Colorado General Assembly – is where state-level bills are drafted, introduced, debated, and (sometimes) passed into law. The Colorado Legislature is “in session” each year from January to May (exact dates vary by year). During this time, state legislators convene at the Colorado State Capitol, located at 200 E. Colfax Avenue in downtown Denver. Everyone in Colorado is represented by one state senator and one state representative (as well as two U.S. Senators and one U.S. Representative, who represent their constituents in Washington, DC). Your state legislators are in office to represent YOUR interests—along with the interests of others in your district. And in order to represent you, they need to hear from you! You can easily communicate with your state legislators by making a phone call or sending an email. For a bill or issue you are particularly passionate about or is more complicated, consider writing a physical letter or scheduling a meeting. Identify yourself as a constituent. If you have met the legislator before, remind him/her of where and when you met. If you have a professional or personal investment in an issue, share this with him/her. Be prepared. If you are making a phone call, have an outline of what you want to say. Be brief. Clearly and concisely state your position. If you need more time to persuade your legislator, set up an in-person meeting. If you leave a phone message, keep it to one minute or less. Be polite and respectful. Don’t argue or act angry – be courteous, direct and constructive. Make an ask. Clearly state your position on the issue and what you want the legislator to do (e.g. support or oppose a bill, address an issue). Be direct and firm, but not hostile. Follow up. Be sure to leave your phone number, email address, and/or mailing address. If meeting in person, follow up with a thank you note. The text of every bill—along with the bill’s sponsor(s) and a schedule for how the bill will move through the legislature—is available on the Colorado Legislature’s website: leg.colorado.gov. Once on the home page, scroll down to “Find a Bill.” You can either search using key words, the bill’s sponsor(s), or bill number. You can also browse bills by category. Understanding the bill number: bill numbers can be broken down into three pieces. The first piece is either SB or HB. Bills that originate in the House of Representatives begin with HB; bills that originate in the Senate begin with SB. The second piece is the last two digits of the year. The third piece is a series of numbers that depend on when the bill was introduced. Bills that are introduced in the Senate start at 001; bills that are introduced in the House start at 1001. For example: the second bill introduced in the House of Representatives in 2016 is called HB16-1002. The 72nd bill introduced in the Senate in 2007 is called SB07-072. The Capitol building is open to the public Monday through Friday from 7:30 AM to 5 PM. Committee hearings (more information below) often go past 5 PM, and members of the public can attend committee meetings even after normal business hours. During the 2019 Legislative Session (January 4 – May 9) the Colorado House of Representatives will convene at 10 AM from Monday through Thursday. The Colorado Senate convenes at 10 AM on Monday and 9 AM on Tuesday, Wednesday and Thursday. The public is welcome to sit in the gallery and observe both the House and Senate during these times. If the House and/or Senate is currently live in session, you will be able to watch live video via the Colorado Channel. You can watch the live video stream or listen to the live audio, as well as access archived video and audio, at leg.colorado.gov/watch-listen. You can also use this website to listen to live audio from committee hearings. 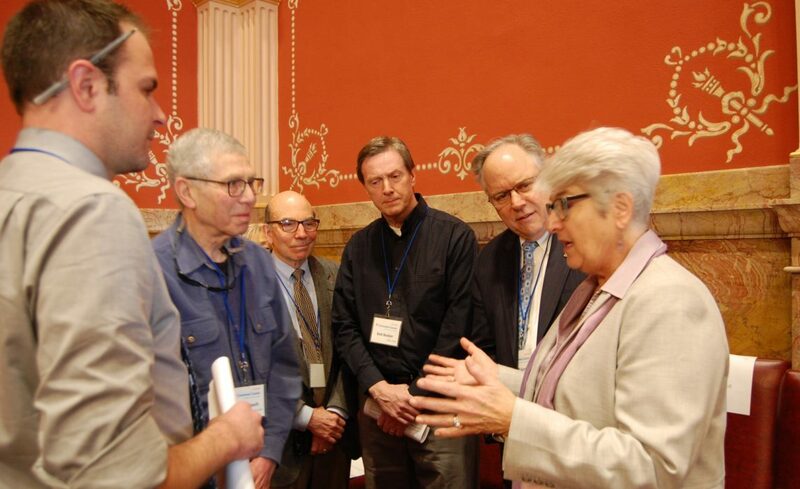 Committees are often regarded as the “workshops” of the Colorado Legislature. All bills are sent to a committee immediately following introduction. The Speaker assigns bills to committees in the House; the Senate President makes assignments in the Senate. The details of legislation are carefully analyzed during committee meetings. All committee meetings are open to the public. You can just observe the meeting or you can participate by giving testimony on a bill that you care about or have subject matter expertise in. Simply being there and identifying yourself as being pro (or against) a bill is an enormous push for your issue. You can testify in support or opposition of any bill – just sign up using the sign-in sheet when you enter the committee room. Write down your testimony. You will have three minutes to give your testimony – keep it short and to the point. Be prepared to wait. Committee meetings don’t always start on time and your bill may not be the first on the agenda. Bring a book and some water in case the committee hearing is delayed or very long. Most areas of the Capitol also have wifi. Note: eating & drinking is prohibited in committee rooms – step outside if you want a snack! Let your legislators know you are there (especially if one of them is on the committee hearing the bill). Can’t make it to the Colorado Capitol to testify? Some committees will allow you to testify remotely. You must sign up in advance by visiting leg.colorado.gov/remote-testimony. Follow your state legislators on social media. Follow and use the #coleg hashtag on Twitter. Attend your legislator’s town halls (either in person or virtually). Join your legislator’s email list. Many will keep you updated about legislation they are working on. Write and submit a letter to the editor to bring attention to your issue. Want to share this information? Click here for a printer-friendly version!